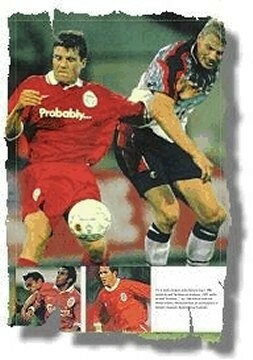 Carlsberg has been Liverpool's commercial sponsor since year 1992. They have a famous slogan - "Carlsberg, PROBABLY the best beer in the world". 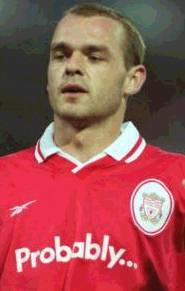 Only once in Liverpool history, the shirt comes with the sponsor of PROBABLY instead. For anybody who ever drinks the Danish lager brand Carlsberg, he or she should have heard the slogan "Carlsberg, probably the best beer in the world." 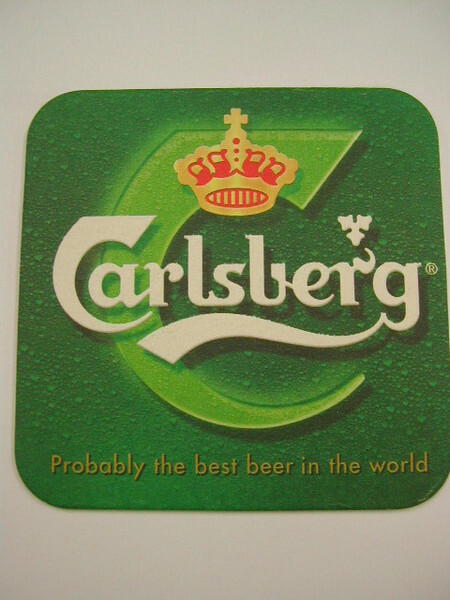 The linkage between "Carlsberg" and "Probably" was not too implicit to catch. 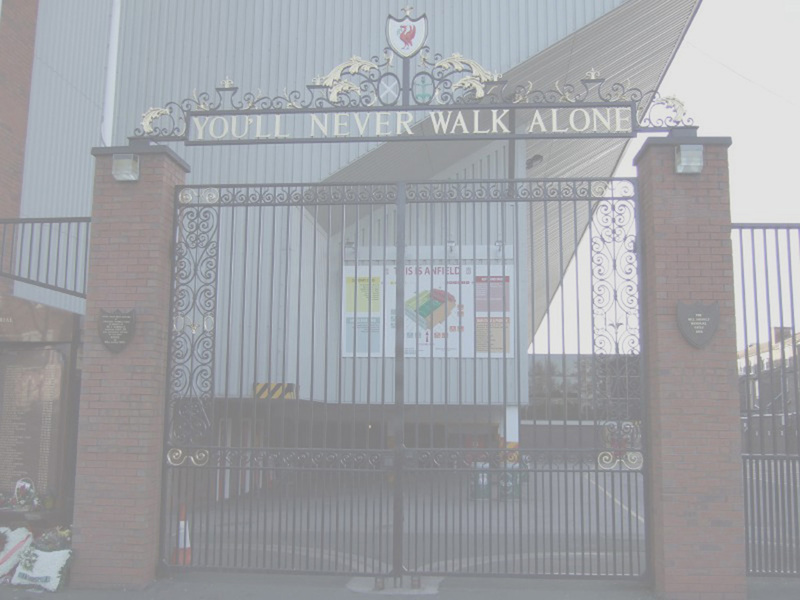 Liverpool did have promotional events like the one shown upon renewal of contracts. Except for those matches (no matter friendlies or UEFA competitions) played in France or Norway where the Carlsberg sponsorship is dropped out, the Carlsberg sponsor logo has been with us since 1992-1993. There was only ONE exception - the Danish lager company didn't want to lose the advertising and promotion chance in a Scandinavian Tour held in season 1997-1998. 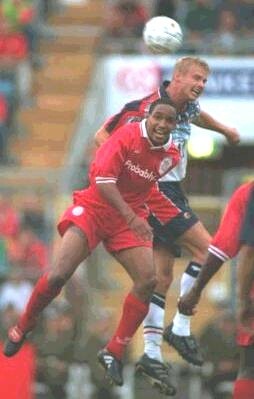 The sponsor of the kit was adopted as "Probably..."
Such a Probably shirt was worn only once - in a Scandinavian Tour played on 31 July 1997 against Norway XI at Ulleval. Adopting such a sponsor logo, Carlsberg tactfully took the advantage of the restriction ruling loophole, and they indirectly advertised their lager in Norway where there exists the alcoholic bans for live broadcasting. 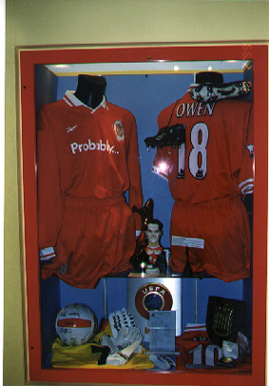 One of these shirts is exhibited in Anfield Museum. All serious collectors should know the ultra-rarity of this shirt. 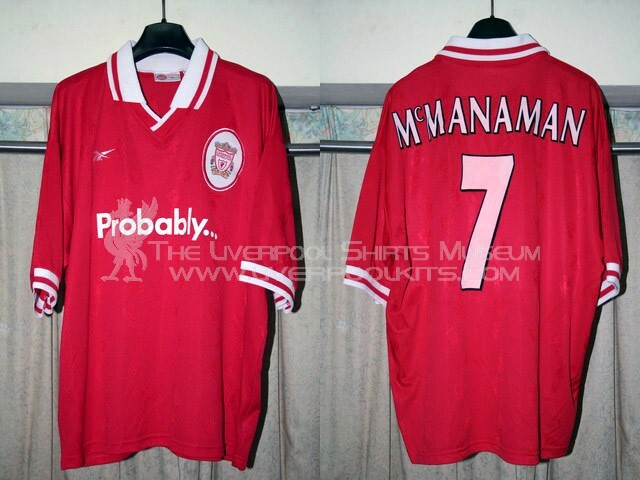 It is estimated that around 15-20 shirts of this special sponsor were ever manufactured. One piece is now owned by me.